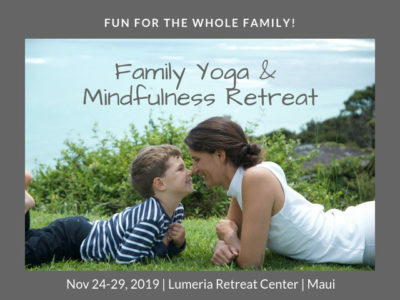 We are so glad you will be joining us for our nourishing Family Yoga Retreat! Interested in Learning to Surf? I am a parent and want to receive wellness oriented newsletters.I am interested in your international retreats, and just want to be notified when you are offering retreats.I am part of an organization and want to receive team-oriented wellness info.I am already subscribed.No, I do not wish to subscribe at this time.